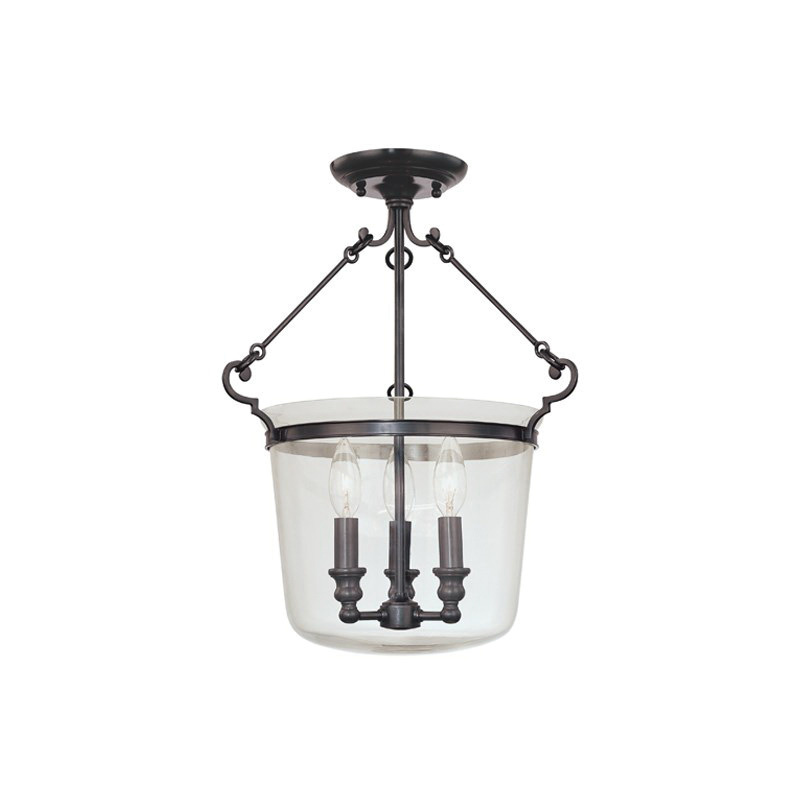 Hudson Valley Lighting Quinton Collection Semi flush light in old bronze finish, has brass construction for machinability and strength. It features a clear glass shade. It can accommodate three 60-Watt lamps. The E12 candelabra socket light measures 14-Inch Dia x 17.75-Inch. It has a voltage rating of 120-Volts AC. It is suitable for use in damp location. Semi flush light is UL listed.